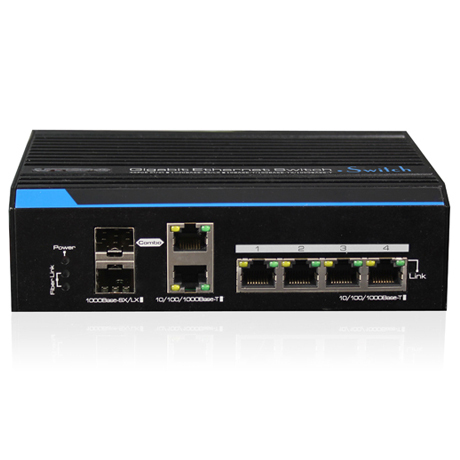 Gigabit Ethernet access switch with four 1G uplink ports. 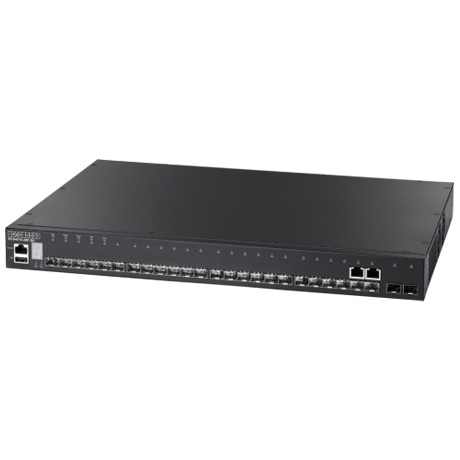 The switch is ideal for Internet Service Providers (ISPs) and Multiple System Operators (MSOs) to provide home users with triple-play services with up to a Gigabit of bandwidth. 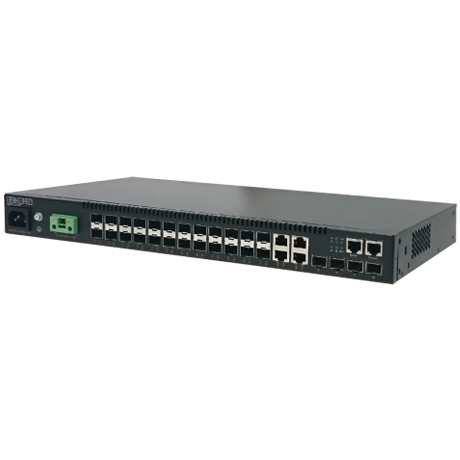 L2+ High-performance Gigabit Ethernet switch featuring 28 ports, with 20 x GE SFP+ 4CG + 4 10G SFP+ ports. 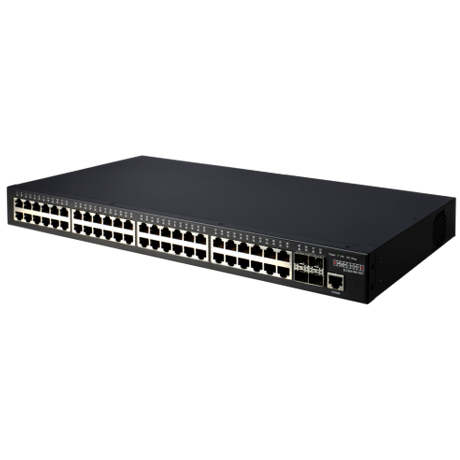 ECS4120-28F is high performance Layer 2+ managed switch with 128Gbps switching capacity. 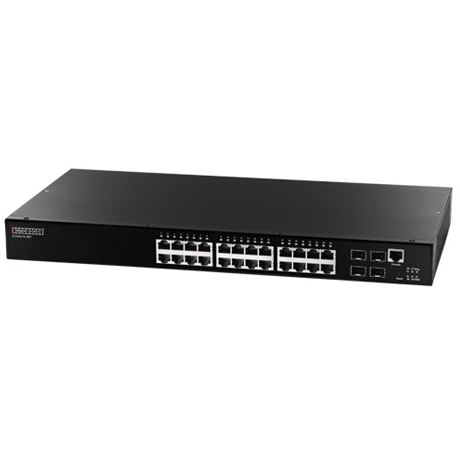 High-performance Gigabit Ethernet Layer 2+ switch featuring 28 ports; with 22 x GE SFP + 2 x GE Combo (RJ45/SFP) + 2 x 10G SFP+ ports + 1 x expansion slot. 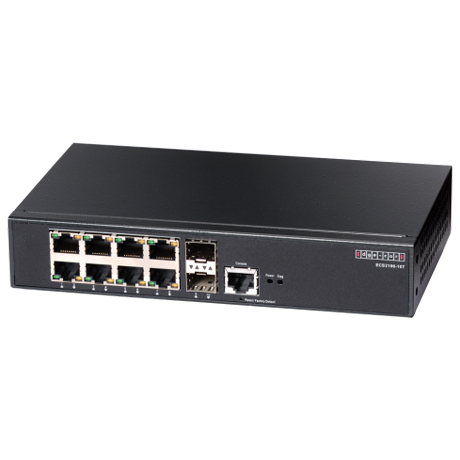 High-performance Gigabit Ethernet Layer 3 switch featuring 28 ports; with 22 100/1000 SFP ports, 2 x 10/100/1000 Combo Ports, 2 x 10G SFP+ ports, and one 10G dual port expansion slot. 4 ports full Gigabit unmanaged Ethernet switch, which features 4* Gigabit downlink Ethernet ports and 2* optical, 2* Ethernet uplink ports, wherein 1* optical and 1* Ethernet ports are Combo ports.